The Art of Soul Dialoguing is a powerful healing modality that focuses on transforming the energy field in and around the body so that balance and well-being can be restored on all levels. For over 45 years Blanca has studied various healing modalities. Through her work with hundreds of clients in her own private practice, Blanca blended the best techniques with her own keen inner knowing, and the Art of Soul Dialoguing was born. Blanca carefully polished and compiled The Art of Soul Dialoguing information into a simple format that is accessible to everyone. Her vision is that her students will develop the ability to travel through the different energetic dimensions as they heal themselves and others. Blanca offers her training in the U.S. and in her native country, Colombia. Read about her training in Colombia.  The Art of Soul Dialoguing contains four modules. The modules can be taken separately. A beautifully designed, user friendly manual is included. Each participant receives a certificate of completion. We are spiritual vibratory beings. In order to practice soul dialoguing, one must first develop the sensitivity to perceive different energy patterns. This experiential class will expand your skill of noticing the vibrations of everything in the universe. Working with trees, plants, foods, and inanimate objects, you will hone your natural ability to tap into your intuition and decode the information that you receive. The Energy Perception class is the foundation of the soul dialoguing work and is strongly suggested for those both familiar and unfamiliar with energy work. The physical changes that occur when energy is disrupted. Assessing clients’ energy before and after sessions. The steps of a soul dialoguing treatment. Techniques for working with each chakra. Techniques to protect their own energy when working with others. Clients who cannot lie down. Clients who must lie on their sides rather than on their backs. Clients who have had recent surgeries. Clients who have issues such as muscle contractions, tremors, swelling, or other physical concerns. Clients who need special equipment such as oxygen, feeding tubes, or chemo ports. This course also covers working with infants and young children. Reading stones and discerning their energetic properties. Selecting stones for different physical and psychological conditions. Different properties of colored stones. Getting started with a basic set. Specific considerations when using stones for healing. 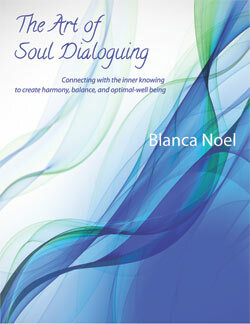 For information about The Art of Soul Dialoguing, please contact Blanca.